Born in Tel-Aviv, Rechter started studying piano at age eight. At the same time as he went to Tel-Aviv Music Academy, he joined “Kaveret”, one of Israel’s most successful rock bands. He then worked as a composer, arranger and pianist for Arik Einstein, Esther Ofarim, Yossi Banai, Gidi Gov, Yehudit Ravitz and others. He was Esther Ofarim’s pianist and musical director. The Israel Festival and the Israel Philharmonic Orchestra have both dedicated an evening to his music. Yoni performs extensively, writes music for movies, dance and theatre; he wrote a piece for soloists, choir and orchestra, for the IPO, to texts of David Grossmann’s “Itamar meets a Rabbit”. Rechter has composed classical music for solo piano to Symphony orchestra. He sometimes appears at jazz venues, like the Jazz Festival, Eilat in 1991. 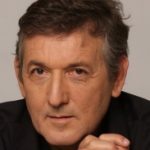 Amongst his recent works: Musical Director and Arrangements for the musical “The King and the Cobbler”; composing and arranging music for the children’s show: “The Sixteenth Lamb”, both at Habima Theater. His latest album: “The Main Thing is Music”. He received the ACUM Lifetime Achievement award; honorary Hebrew University doctorate; and the “EMET” Prize for contribution to Israeli music. Yoni keeps practicing and improving on the piano.